When you are an owner of a property for rent, it is vital that you keep records and account for all the transactions involved in the rental property. Since the principles of accounting rely on accurate records, record-keeping is therefore the foundation of accounting, hence prompting every business entity to have a list templates of your complete and correct records as well as property management. 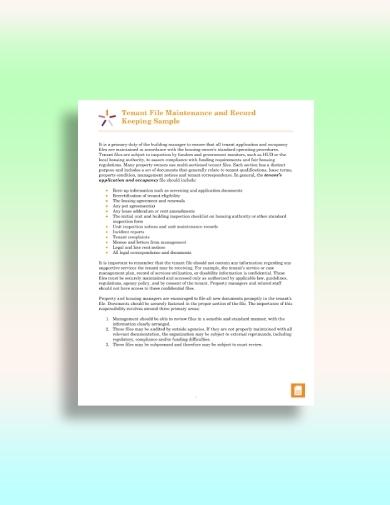 In order to help you in your rental property record-keeping, below are some templates and examples that you can refer to and serve as a guide when you want to be organized in keeping records or managing your rental property in general. These are also helpful so you would know what are the important items or specific areas that must be recorded or accounted for. Record all the transactions and key aspects of your rental property business with the use of this template that is easy to download and edit. 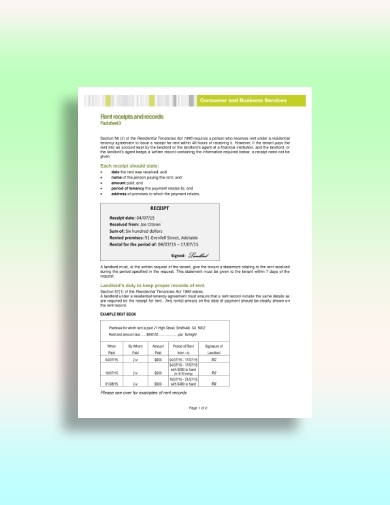 It not only is visually presentable but also contains useful contents which serve as a guide when you incorporate your own content on the template. You can remove or add an item from the checklist so it would tailor fit your current needs. The general topics that must be included in your rental property record-keeping are as follows: bookkeeping and accounting records, bank records, contractual agreements, corporate records, mail and correspondence, employee records, official business forms, intellectual property records, marketing and advertising records, authorization files, stock records, and tax records. In this simple rental property record-keeping example, tenant’s application and occupancy file includes the following: screening documents, application documents, and other rent-up information, certification of tenant legibility, pet agreement, lease agreement and renewals, lease addendum or rent amendments, building and property inspection checklist on housing authority and other standards, inspection form, inspection notice and maintenance records, incident reports, tenant complaints, memos and letters from the management, legal and late rent notices, and all other legal documents and correspondence. Make sure that these documents are present not just in your physical files but also the files you saved in your local computer to ensure that the information cannot be easily lost or stolen. One important thing that you must keep apart from your records in your journal entries is the receipt of every rental property transaction. Receipts are vital in monitoring the progress of your business, preparing the financial statements, identifying the source of expenses or disbursements, preparing tax returns, and supporting the items on your tax return. Hence, as can be seen from the example, you must ensure that every receipt has the following essential information: the date the rent was received, the name of the person paying the rent, the amount paid, the period of tenancy the payment relates to, and the address of premises to which the payment relates. Because this is an important document in record-keeping, it is vital that you keep these receipts in a safe place, preferably those that will not be easily damaged due to weather conditions. 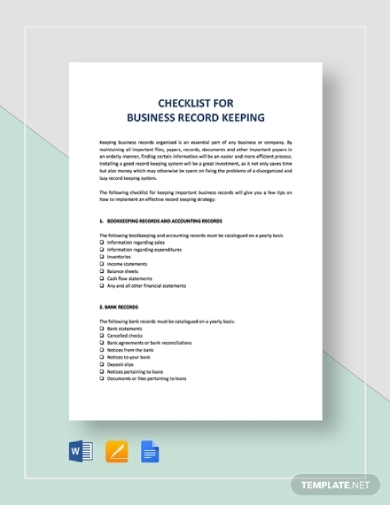 In this document, presented are the necessary information that you need to know about keeping records when running a small business for rental property. 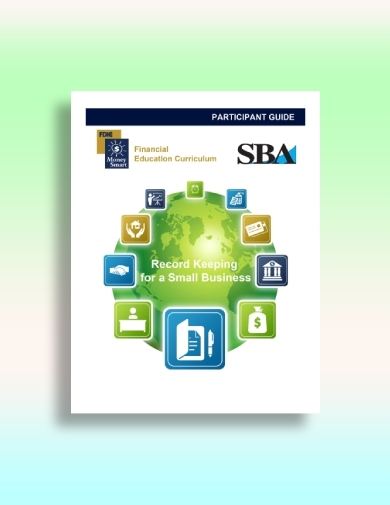 The items included are the following: the concept of record-keeping and why record-keeping is important to a small business, the record-keeping practices, rules, and tools and how these work, the advantage that a small business can benefit from record-keeping, and the software products available for small business record-keeping. There is also a discussion about the accounting system as well as the ways on how to improve your accounting system. While traditional records are still credible in record-keeping, the physical papers might be easily destroyed or lost not just due to wear and tear but also due to fortuitous events or unforeseen events that occur by chance or accident from natural or man-made forces in which the entity has no control, such as fire and earthquake. In order to keep your records intact, you need a management system saved on your local drive which contains the records of your rental house transactions as well as the accounting system that you are using. You can create a chart, table, graphs, and other ways to present the records in a brief and concise manner. 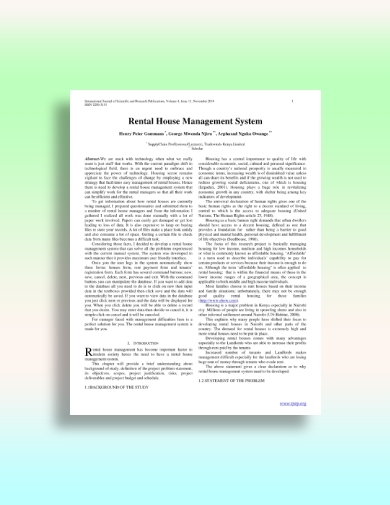 In this paper, presented are not just the guides in record-keeping rental transactions but the guides in keeping business records as a whole. Through this, you will get to know the importance of record-keeping, the important records that must be kept by all businesses may it be in dealing with goods and services, paper-based method and computer method, banking records, records of income, records of purchases and expenses, records of your asset, records of cash flow involving operating, investing, and financing activities, and how to and what items to close at the end of the accounting period. So when you want to start creating a system for your rental property record-keeping, ensure that these items on the list are included completely and correctly. Lastly, as an owner of the rental property, you already know the fact that you really need to track a significant amount of information related to the property that you are renting to others. 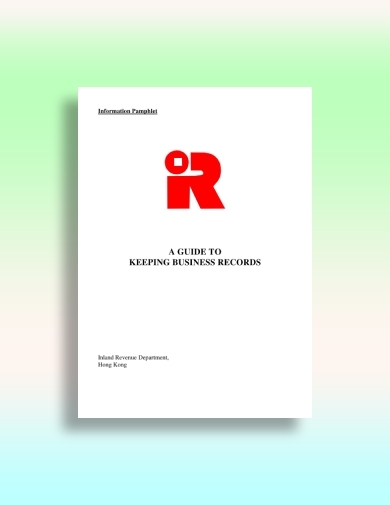 Hence, no matter the type, size, or complexity of the business that you are running, you must establish a proper record-keeping system that is appropriate and suited to your particular business type and must maintain these records in order to be organized and systematic with your transactions not just related to the rental property but your business as a whole.